Fourth of July is almost here. I can’t wait to enjoy the food, family, friends, and fireworks. I’m such a fan of most holidays since they’re a time when people get together, let their hair down, and just have a good time. 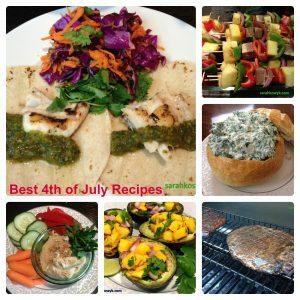 To celebrate this year, here are 10 Fourth of July recipes you won’t want to miss. 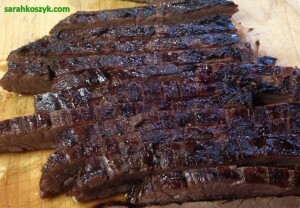 Bring one or two to your next BBQ or party. It will be a blast. 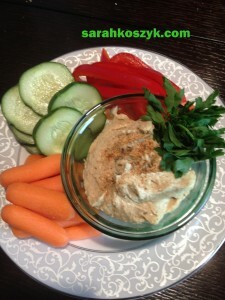 Definitely one of the most popular dips on my website. 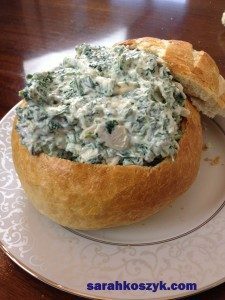 This spinach dip is full of protein and super low in fat. Pure guilt-free eating. 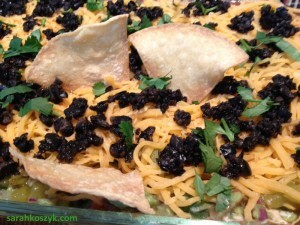 Yes – you can easily make your own chips in minutes by baking the tortillas in the oven. 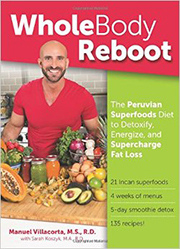 So fast, simple, and healthy. The dip is divine, too, of course. Having a dip available like hummus is a great excuse to include fresh vegetables in your spread so people have a healthy go-to snack to munch on. This hummus is unique with its smoky flavor. 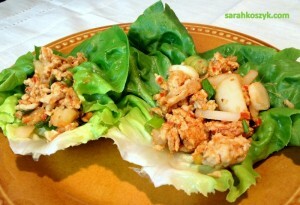 Lettuce wraps are wonderful finger foods to have at parties. You get protein from the meat and vegetables from the lettuce. What better combo can you ask for? 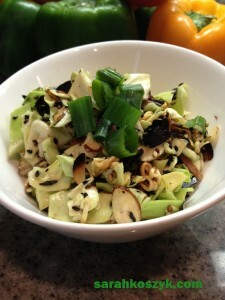 This is the best cabbage salad recipe I’ve ever had. I prep it ahead of time so the day of the event I have minimal activities to do. 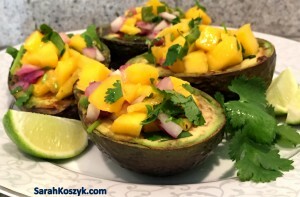 Grilling avocado sounds so gourmet but they’re actually really easy to make. This savory dish can be an appetizer or a main entrée. 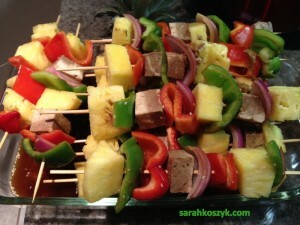 I like to make my shish kabobs with a ton of vegetables and marinated tofu. However, you can definitely add some meat to the mix. 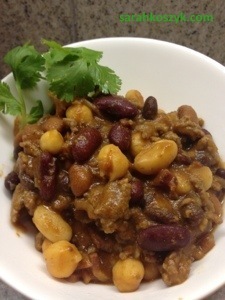 Pevre is a Chilean salsa you simply make by putting everything into a food processor or blender. 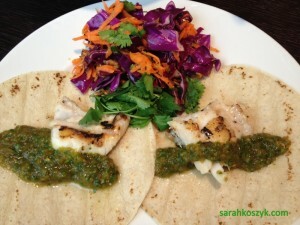 For the lighter fare during 4th of July, enjoy the fish taco. My Grandpa’s famous brandy marinade recipe goes so well with steak, chicken, pork, lamb, or tofu. This is an all-time favorite from him. Have a wonderful 4th of July. Be safe and enjoy your good eats.